A naturally lovely infusion of flowers & fresh lemon. Non-alcoholic. 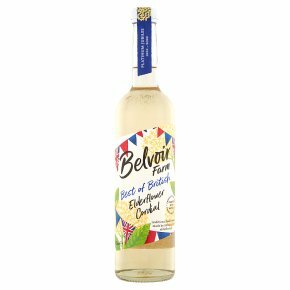 No preservatives, flavourings or anything artificial.This cordial has a naturally delicate floral taste from the infusion of masses of freshly picked flowers and real lemon juice that go in to making it. Dilute about 1:10 to make 22 glasses (250ml) of lovely refreshing drink, only 43 calories per glass.